The company was founded in 1963 as a small craft-workshop thanks to the vision and entrepreneurship of Mr Slobodan Crnogorac. After a lot of hard work, deprivation and passion, we grew up into a serious, respectable, successful company known worldwide. We currently employ 360 people. We are TERMOVENT SC Company, a regional leader in production of industrial valves for process industry and thermo energetics. Legally, we are established as a limited liability company and classified as a medium-sized company. Flexibility and reliability are characteristics that set us apart. We pay special consideration to cultural values. 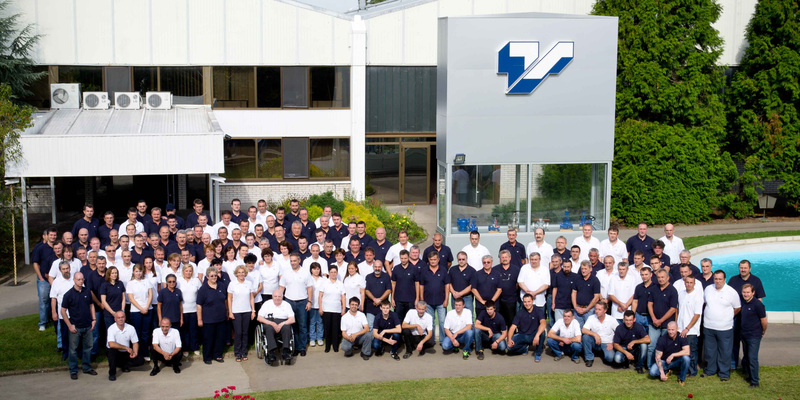 Traditional values, reliability, quality and sustainability – these are the basis of our work and existence. We remained until today a company in private ownership and management structure, as for the past 50 years of presence. Today, we are present with our products on almost all continents. TERMOVENT SC products are installed and functioning in many plants in more than 40 countries worldwide. Continuous investments in the staff, production and development, as well as our flexibility, innovation and decades of experience in valve production, enable us to successfully cope with future challenges.